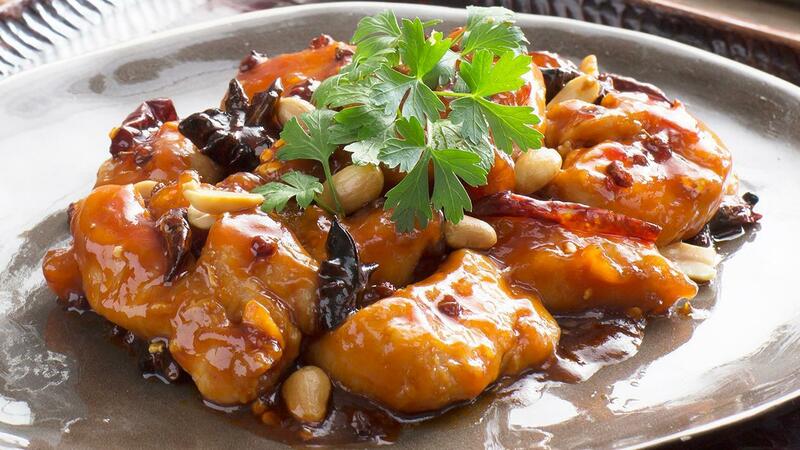 Perfect combination of crispy chicken with sweet and spicy flavours. Heat 2 tablespoons oil in a non-stick frying pan. Stir-fry dried chilies, Szechuan peppercorns and star anise until fragrant. Add ginger, garlic, and chicken meat. Stir Well. Add Seasoning Sauce and spring onion. Fry over high heat for 6-7 minutes. Dish out, sprinkle peanuts over and serve.